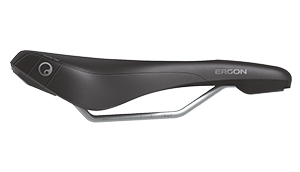 Ergon presents completely new Fitness and Downhill product lines for 2017. Based on years of experience, scientific approach, and a clear product design goal, the products are designed precisely to their respective applications. 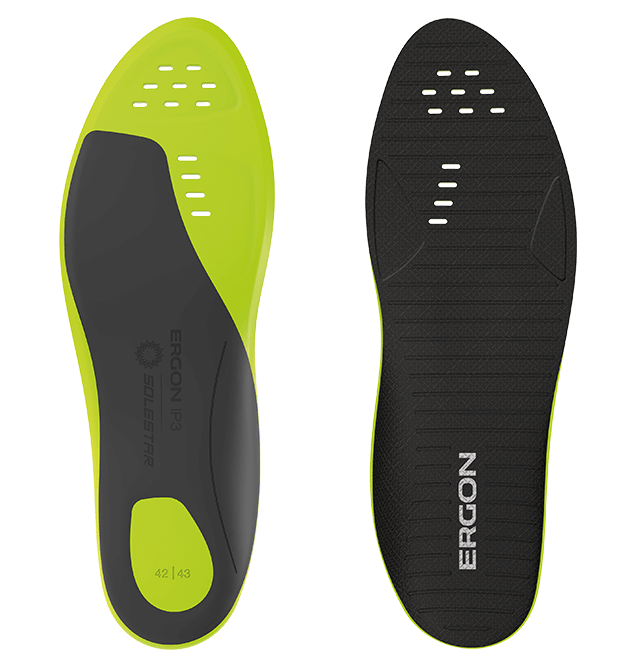 With other exciting new products, like the IP3 Solestar Insole, GA2 Single Twist Shift, and the new HM2 glove, the Ergon product portfolio advances. Have more fun riding your bike! 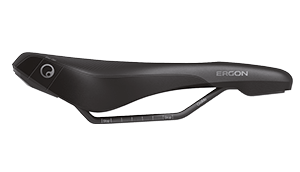 Ergon expands the saddle range for a larger new target group of fitness bikes, eBikes or sportive touring bikes. The saddles provide effective relief of the perineum and genital area. Numbness is reduced and riding comfort enhanced. The position of the relief channel was optimized with the help of many test riders by means of the latest pressure measurement technology. The soft borders of the seating surface prevent increased edge pressure. 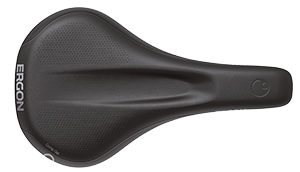 A large seating surface effectively reduces pressure peaks and perfectly distributes the pressure on the sitting bones and pubic bones—even without cycling shorts. 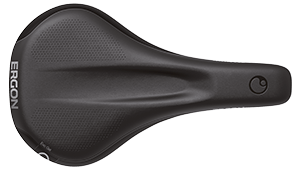 A flat seating surface for dynamic sitting in a variety of positions without tilt effects—as opposed to step saddles—perfectly meets the requirements of a fitness rider. 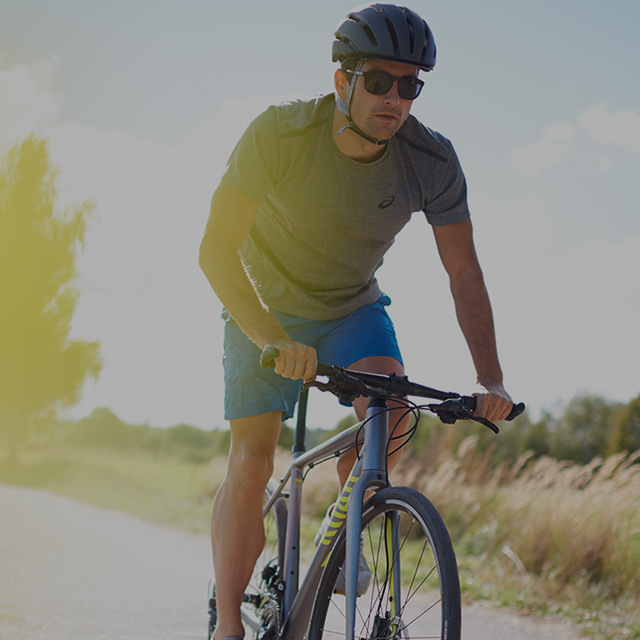 For optimized pedal stroke performance on the bike, the leg power needs to be effectively converted into propulsion. 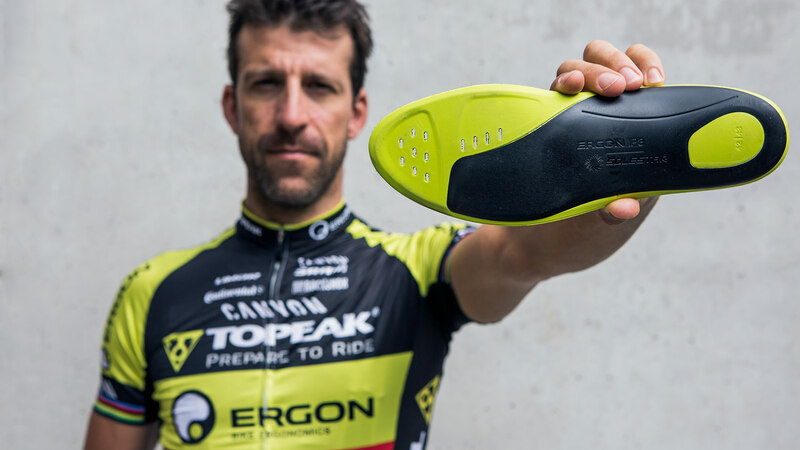 IP3 insoles support and stabilize the power flow from the legs along the feet straight to the pedals. 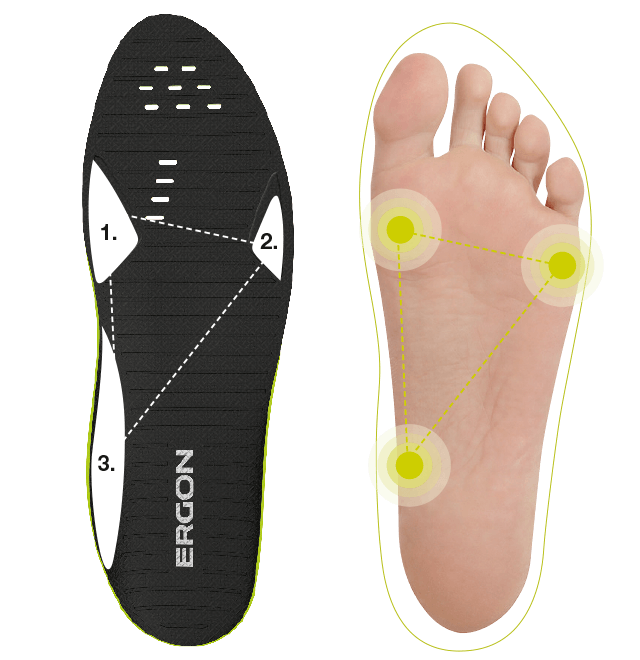 Due to the patented stabilization delta, a natural position of the foot is achieved through three points resulting in an efficient and comfortable motion sequence while pedaling. During an intense development period the requirements of the SMD2 were maximized with the help of professional downhill riders. 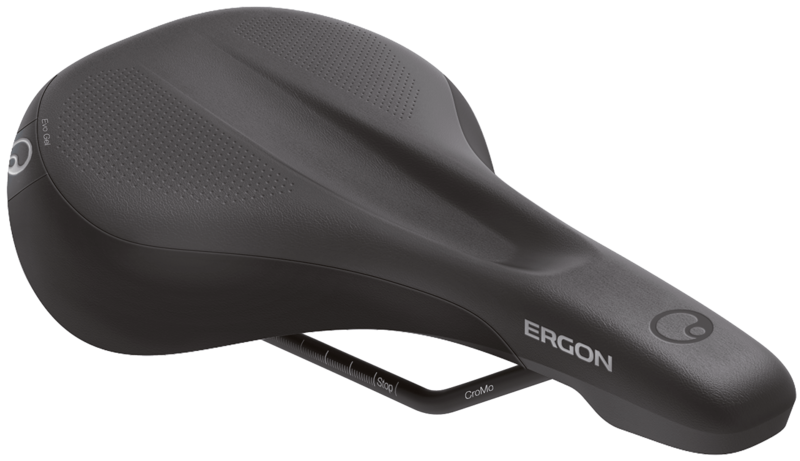 This is the first saddle by Ergon which is barely used for sitting, but instead for control of the bike. The entire surface design follows a tilted orientation of the saddle and offers the rider complete freedom of movement. The guidance of the bike with the inner leg is improved by circumferential padding on the outer edges. Other important downhill features are shock-resistant rails and the extra large tire clearance area at the rear of the saddle. Featuring more damping in the outer area and a slim inner diameter. 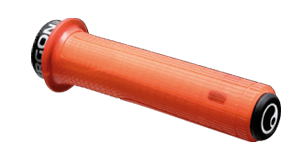 The unique rubber compound, manufactured in Germany, offers adhesive and rebound properties which have never been experienced before in a bicycle grip. The grip feeling is soft, but still very defined and precise. The surface profile provides optimal grip and reduces the gripping force needed by the hand at the same time. The slim inner stop helps improve fast and precise positioning of the hand. 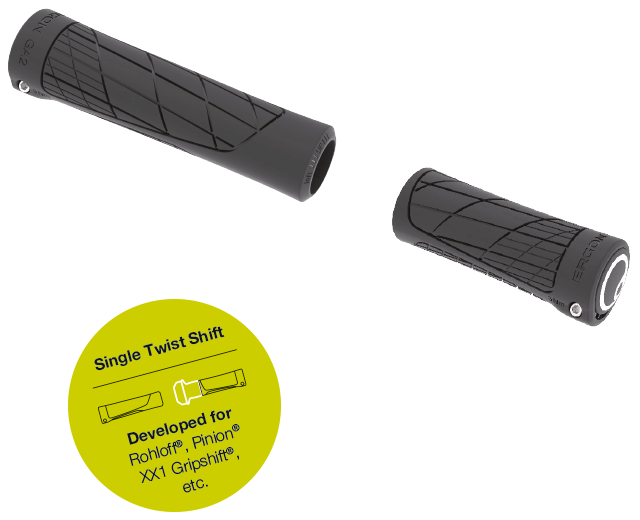 The high-strength aluminum inner clamp keeps the grip twist-free, even on carbon handlebars. 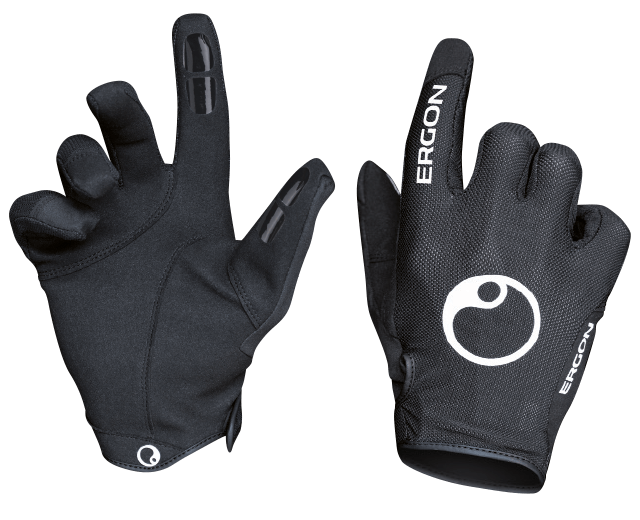 Recommended for glove sizes: Large/X-Large (8.5 – 10.5) or for better dampening characteristics. Recommended for glove sizes: Small/Medium (6.5 – 8.5) or preference of handles with low grip circumference. Less Risk, more Fun! 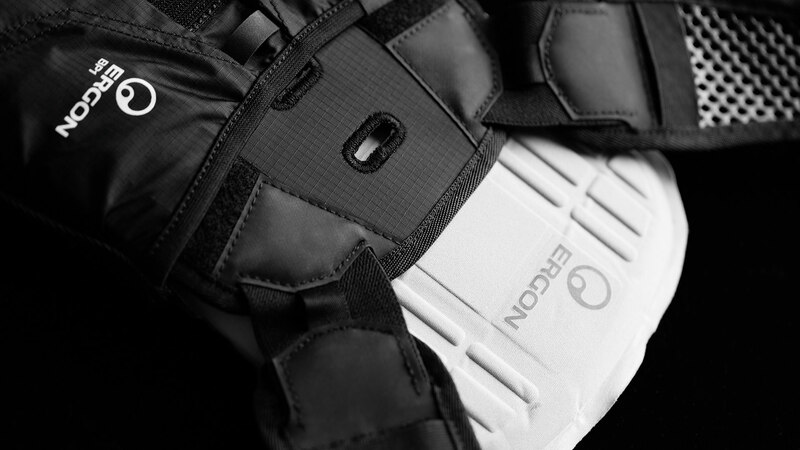 The BP1 reduces the risk of injury in the lower back. 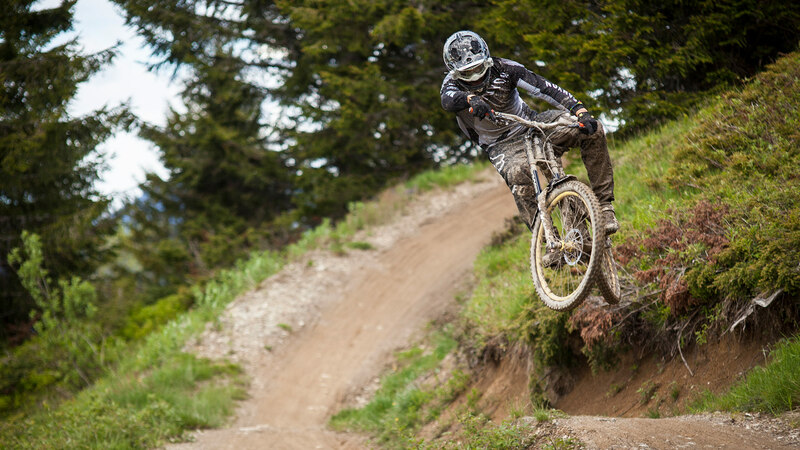 The BP1 Protect is not only a good choice for gravity racing but also for the increasing popular Bikepark trend. 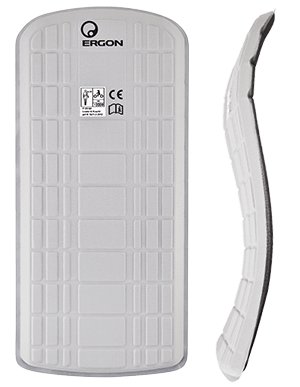 Space is provided for the back protector BP100 (incl. 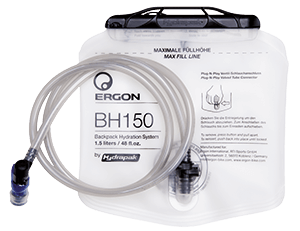 ), the most important tools, and also the optional available bladder BH150 (1,5 liter). 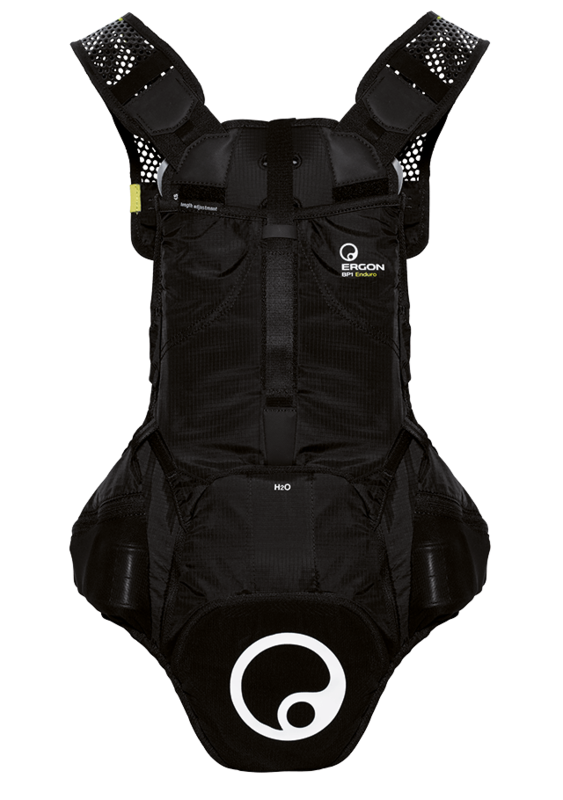 It is adaptable to various body sizes due to the self-adjusting shoulder straps, adjustable back length and elastic chest strap. 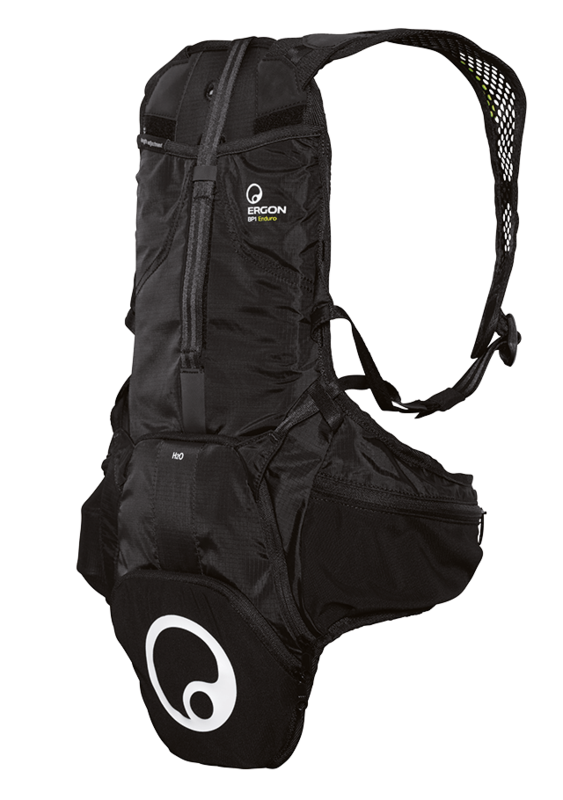 The BP1 Protect has a waist strap instead of the classic hip strap, which can be individually shortened to be worn higher and to provide a better fit for smaller people. Depending on the preference, it can be worn invisible underneath rider clothing or over the jersey. The popular GA2 is now available as long-short-version for the popular 1x systems (e.g. SRAM XX1®, Pinion® etc.). The ergonomic enhanced form allows reduced force while gripping, because the grip zones are matched to the hand. The inner construction varies in thickness allowing greater damping. The GA2 Single Twist Shift has a superb tactile feel—for greater control on demanding trail. Rubber coated outer clamps offer generous space, even for those rider who grip wide on the handlebars. Clamps on carbon handlebars with the highest twist-free strength. The HM2 mountain bike gloves provide the palm and fingers the needed requirements for safe handling while riding, due to the anatomic performance design. Thanks to the intelligent form and cut of the glove, the fit is crease-free. The backs of hand and fingers remain flexible and well vented through the use of mesh fabric. The anti-slip surfaces allow for safe gear shifting and breaking. 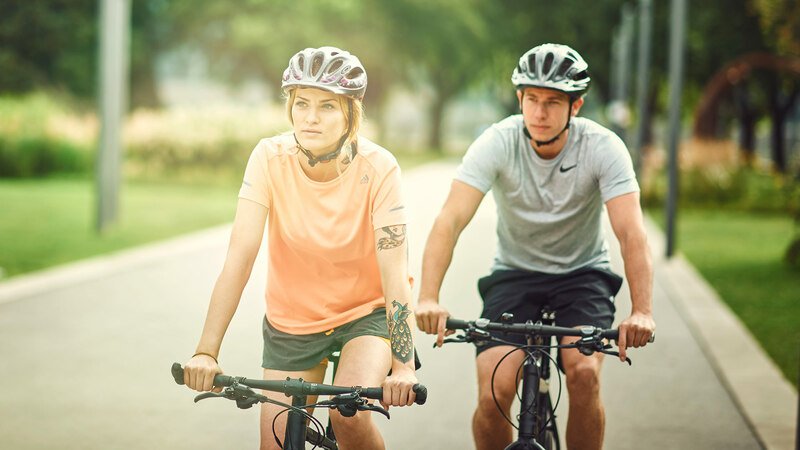 By purposely omitting padding, overall rider feel and control of the bike is magnified.